For some, the holidays bring about a feeling of happiness and warmth. It’s the overall atmosphere with chestnuts roasting, marshmallows toasting, and twinkling lights everywhere. You feel giddy like a kid and want to embrace the feeling of nostalgia, reminiscing on memories from previous years while making new memories that will last a lifetime. However, this isn’t how everyone feels. For some, this time of year brings about stress, more so than usual, and the dreadful holiday blues. Unfortunately, holiday stress around this time of year can amplify depression in those already struggling with mental illnesses. Whether it be extra stress, the inability to be with friends or family, or grieving over lost loved ones, there are numerous factors that can cause the holiday blues and make it difficult for someone to embrace the season in a joyous way. According to a study conducted by the National Alliance on Mental Illness, 64% of people with a diagnosed mental illness struggle with the holiday blues and 24% say the holidays affect them a lot. Similarly, those struggling with depression may be familiar with Seasonal Affective Disorder which the National Institute of Mental Health refers to as depressive episodes that come and go with the seasons, typically with the colder seasons like late fall and winter. Although the holiday blues are temporary, they can be very damaging both physically and mentally. With excess pressure from work and family, this time of year can play a toll on people with symptoms like fatigue, a drop in energy, loneliness and irritability, among other things. However, the holiday blues can be avoided with the help of a clear mindset and strategy to get you back on your feet. You can avoid the stress of the season by utilizing your time and making a schedule that you will stick to, clearing your head and taking time for yourself by doing meditation and yoga, exercising by going for a walk or doing a fun run (bonus points for fresh air and Vitamin D) and catching up on some much needed sleep. To help you fight these seasonal blues, we’ve put together a guide to relieving stress during the holidays. 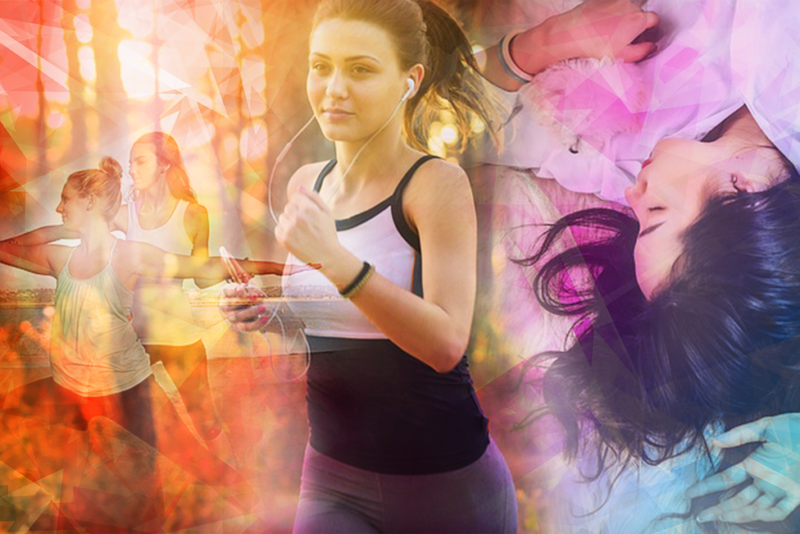 Step One: Increase Your Exercise in Creative Ways, Like Participating in a Fun Run! 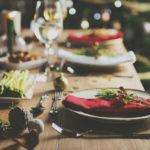 Over 10 years ago, the American Psychological Association (APA) conducted a survey regarding holiday stress and the effect that it has on the lives of many. Study results prove that due to excess stress, people typically turn to food. This isn’t unexpected, considering many look forward to the comfort food that fills our homes during the warmer months and the excess of leftovers that you’ll probably be eating for at least the following week or two. The most interesting part about the study was that the percentage of people who turn to food during the holidays increases with comfort eating being 10% higher for women and 6% higher for men. With the constant pressure of meeting work deadlines, cooking, cleaning and shopping for presents, it can be a lot to handle. People tend to forget to take care of their bodies and instead the stress will start to break them down psychologically and physically. From the same study, those who were facing this increased holiday stress noted a variety of stress causing symptoms. 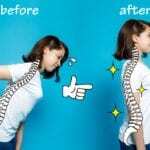 It was noted that 59% of people reported feeling nervous or sad, 55% were lacking both motivation and energy, 51% felt fatigued, and 48% felt muscular tension. Though a variety of things could cause these symptoms, there are plenty of ways to lift your spirits, and one of the most important things you can do is get fresh air and exercise. Take one step out your door, breathe in some fresh air, and take advantage of the natural sunlight that surrounds you. Arguably, Vitamin D is the most important vitamin as it’s good for your overall health in addition to strengthening your bones. If you are someone lacking it, there’s a good chance you will also feel the same symptoms as listed above. Getting yourself out in the open for a few minutes a day will make a difference as your body gets Vitamin D when your skin is exposed to the sun. Sure, you could take vitamins to help as well, but you can also use this time to take a break from your work and stretch your legs. 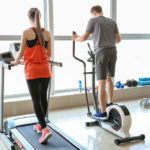 But what if you need something more than just a brisk walk — something that’s more challenging for you and will provide a bit more fun? Two words: fun run! Unlike a 5k, 10k, half marathon or marathon, fun runs are non-competitive, making it more enjoyable as someone who is participating. There’s no added stress to beat other runners or win a certain ranking. Instead, use a fun run as a way to do something out of the box with friends, or even just to reconnect with yourself! From color runs to pet-friendly runs and everything in between, use this as an opportunity to push yourself physically in a way you probably wouldn’t have before. The best part is the multitude of runs you can participate in all around the country, including your own neighborhood. 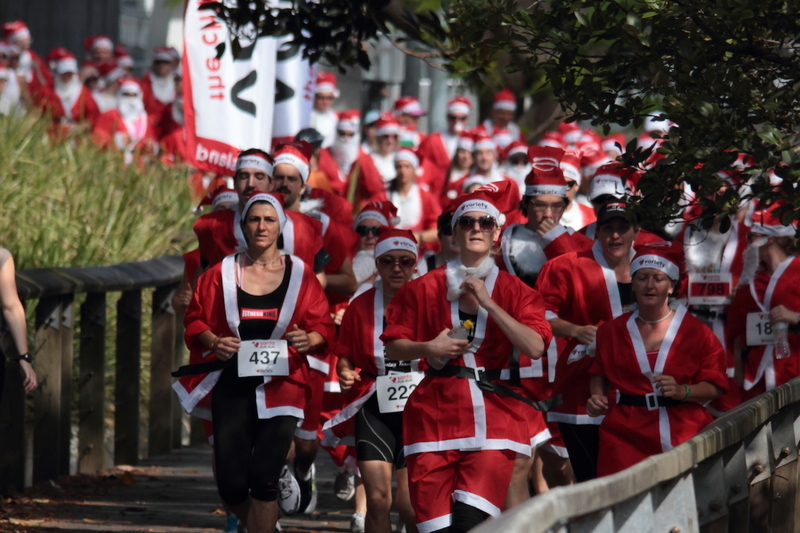 For additional reasons on why you should check out a fun run, read our Top 5 Reasons Participating In A Fun Run Can Help Relieve Stress This Holiday Season. If you struggle with a mental illness, at some point you have been told to try yoga as a form of de-stressing, and for very good reason. In addition to helping increase flexibility and muscle tone, yoga can be effective in improving conditions like insomnia, reducing blood pressure and relieving anxiety and depression. According to the National Center for Complementary and Integrative Health (NIH), those who practice yoga regularly do so to not only relieve stress, but to also enhance quality of life. When done correctly and with a well-trained instructor, yoga can have both mental and physical benefits. 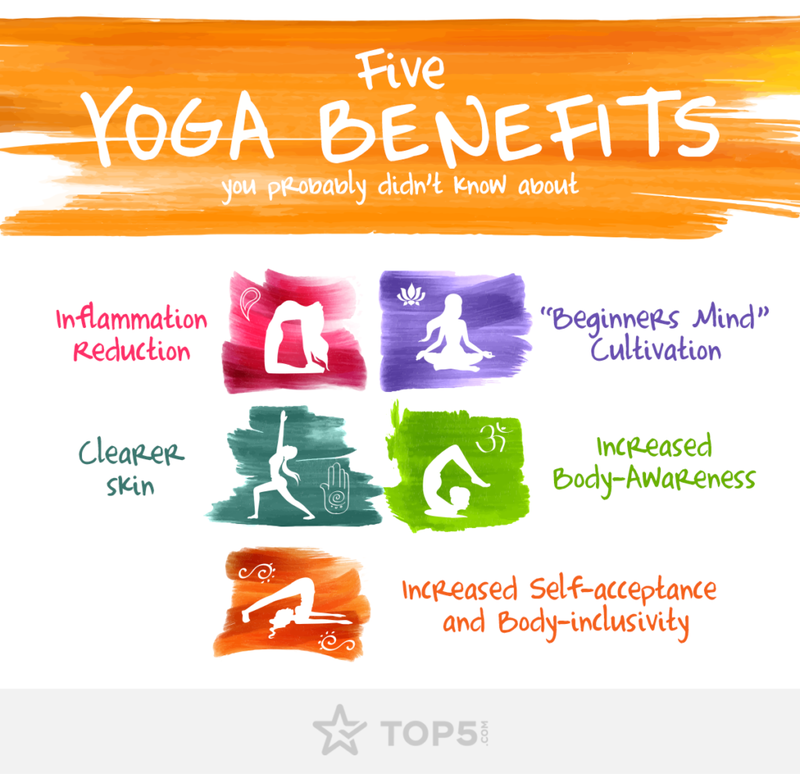 In fact, we recently uncovered the Top 5 Unexpected Health Benefits of Practicing Yoga, which includes reducing inflammation, clearing your skin and experiencing greater self-acceptance. There’s something empowering about yoga and becoming one with your body that cannot be explained. Through the techniques you typically learn in a class, you become more aware of not only the way your body moves, but also the way it feels. You become more in tune with yourself, and it’s quite empowering to know how far you can push your body while also knowing your limits. If you have already tried yoga in the past and are looking for something a little different, we highly suggest Hot Yoga. With the cold winter months fastly approaching and the ever-changing weather, Hot Yoga presents something new to the table since it takes place in heated rooms that range from 95-105 degrees Fahrenheit (yes, really). If you’re someone who loves snuggling up and staying warm in the winter, this is a great workout to do that will allow you to stay warm while fighting those serious holiday induced stressors. If you need more reasons to convince you to try this steamy practice, check out our Top 5 Ways Hot Yoga Can De-Stress (And Warm You Up) This Holiday Season. While yoga is a great way to balance yourself both physically and mentally, another way to help reduce stress is meditation. Just a few years ago, NIH released a study that stated nearly 18 million adults and just over 927,000 children practice meditation as a way of managing pain and stress rather than using medication or other treatments that may not be as effective. Typically focused on one’s breathing, meditation is all about removing any distracting thoughts and feelings. Instead, focus on the present and what is happening in the moment. With the stress and blues that come about because of the holidays, incorporating self-care activities like this is necessary to keep you level-headed and help you feel like your best self. We live in a society that is constantly surrounded by media, whether it be from our televisions, computers or phones. Most people wake up and immediately turn on one of the three before even having a chance to make themselves breakfast, coffee or even a nice cup of tea. If you happen to start your day this way, we highly suggest being open to change and incorporating meditation into the mix. Whether it be 10 minutes or a half hour, giving yourself time to refocus and clear your head is sure to be a way to get you into a new-found productive routine. 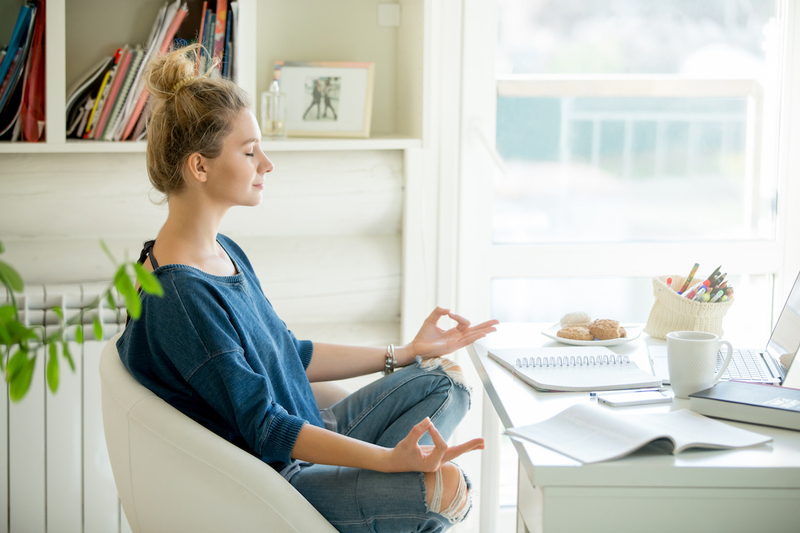 We recently uncovered the Top 5 Ways Morning Meditation Makes For A Calmer Day which includes improving your energy, your productivity, and your sleep schedule. It takes time to create a routine like this, but once you are able to open yourself to this mindset, you’ll find that things will make a turn for the best. However, incorporating meditation into your morning routine isn’t the only way it can help reduce stress this holiday season. Psychology Today has shared that meditation not only curbs your stress, but it also plays a role in shifting your mood and bringing about positivity. It may be hard to believe, but meditation is so powerful that it can be just as impactful as an actual vacation. 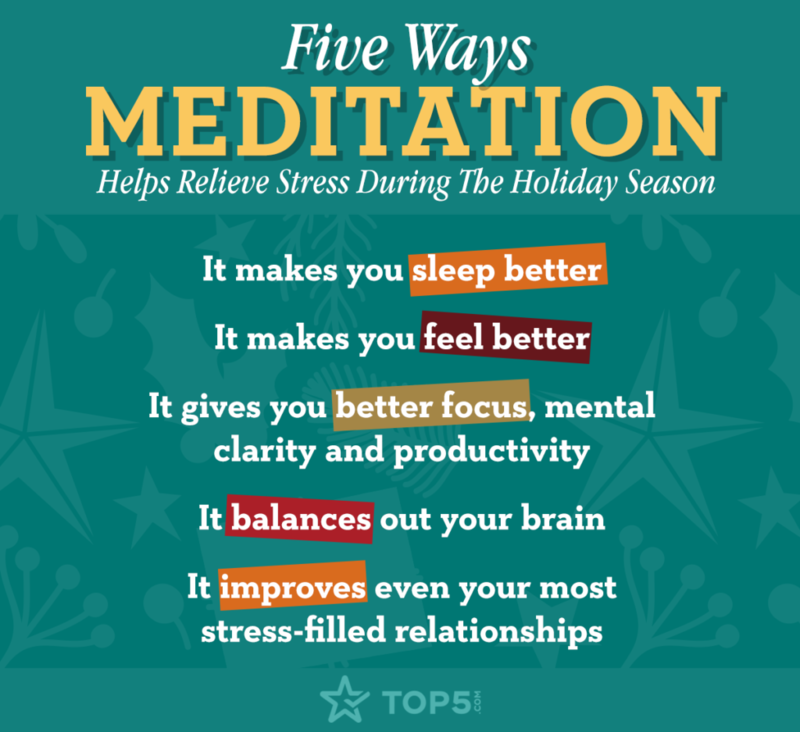 We recently uncovered the Top 5 Reasons Why Meditation Can Help Relieve Stress This Holiday Season, which also touches on the fact that it gives you better focus, clarity and positivity. When you allow yourself to be open to a technique like meditation that helps to keep you grounded, over time you will become more aware of the work that you do and how you go about doing it. Rather than embracing the negativity that comes with stress and letting it bring you down, do the opposite and use positivity as a driving force! Step Four: Don’t Neglect Your Precious Sleep! Since we were little, we have always been told that our body needs roughly eight hours of sleep a night. Although this does change depending on how old you are, eight hours is a general rule of thumb, and sleep plays an obviously important role in our lives. It helps us to recharge and, according to NIH, over time it will help protect our mental and physical health, quality of life and safety. If you are not sleeping the right amount of hours and dealing with immense stress, your body will start to shut down. Over time, lack of sleep will cause issues with controlling the way that you feel, being attentive at work, and even making ordinary decisions. 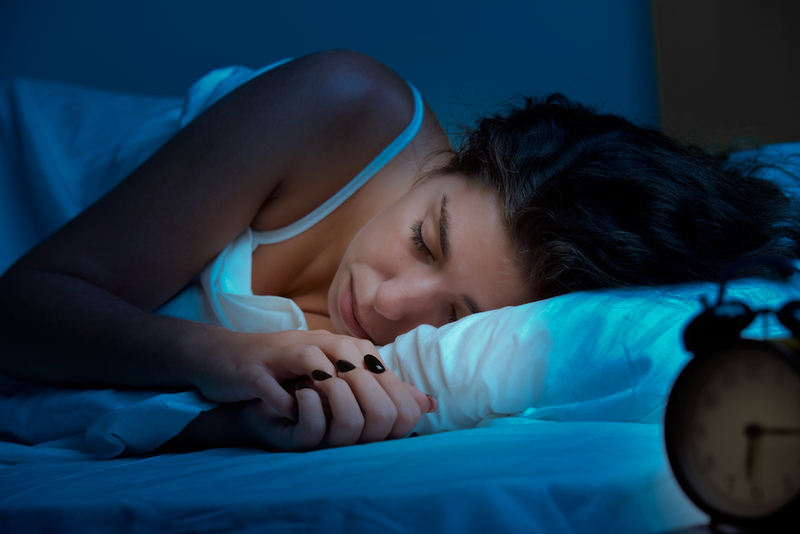 In order to embrace the holiday season and relieve stress, sticking to a healthy sleep pattern is necessary. The best way to get into a routine is plan things out ahead and give yourself time to wind down before you fall asleep. Complete whatever work you have left for the day or make notes on what you have to do for the following day so that you have a schedule to follow. Then turn off your phone, or at least move it away from you, and give yourself a break from technology. Prep your skin with your nightly regimen, brush your teeth, and then figure out what room temperature you feel most comfortable sleeping in before hopping into bed. Some people prefer heavy blankets or weighted ones to help relieve anxiety, while others prefer something like a down comforter and wearing socks so that they’re nice and toasty. Whatever your preference is, give yourself a five to 15 minute window where you can unwind and destress a little, to help have a good night’s sleep. If you’re someone who needs help sticking with a sleep schedule, iPhone users can try the Bedtime section of the Clock app on your phone. After you answer a few simple questions, you can put in what time you’d like to aim at falling asleep and your desired wake up time. You can set it every day, or a few days a week, to get yourself in the habit of sticking to a sleep schedule. Once you do find a routine that works best for you and stick to it, you’ll notice a change in the way that you feel. 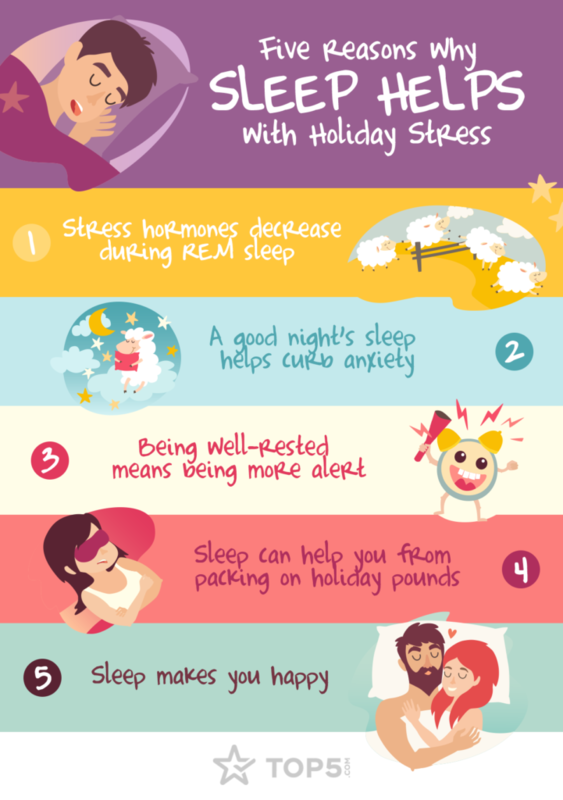 We recently uncovered the Top 5 Reasons Why More Sleep Means Less Stress During The Holiday Season. Trust us when we say you’ll feel happier, more refreshed and more alert than you were previously after you catch up on the sleep your body was most likely lacking. If you’re also someone who has extreme dark circles or skin concerns, catching up on sleep will help all around as it’s one of the best things you can do for both your skin and your body! The holidays can be full of fun, but with added pressures from work, family and friends, it’s difficult to manage time and stick to a schedule. We often find ourselves taking on more than we can handle because we want to impress others or challenge ourselves, but we don’t realize the amount of stress we take on. Over time, that plays a huge factor into why it’s difficult for people to enjoy the season of happiness, thanks and love. However, with the help of some better time management skills, it will become increasingly easier to get a grip on everything including work projects, gift shopping and holiday cooking. 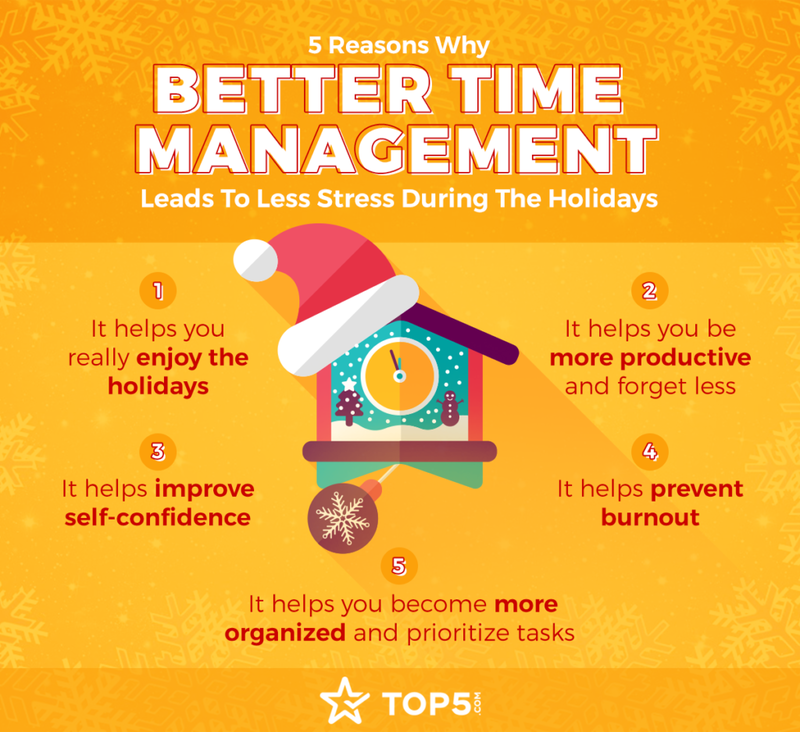 We recently put together a list of the Top 5 Reasons Why Better Time Management Leads To Less Stress During The Holidays. The list touches on a few different things that you will benefit from once you learn to manage your time effectively. Whether it be staying organized, being more productive or preventing burnout, most importantly you have to manage your time so that you can actually enjoy your time with loved ones. If you’re someone who takes on a lot but still wants to experience what the holidays have to offer, we highly suggest getting yourself a planner. Go through your tasks and lay them out in order based off priority. It’s possible that you could eliminate some stress by multi-tasking or eliminating things that are simply unnecessary and can wait a few weeks until the madness of the holidays has passed. We may think we’re super heroes, but even they need a break sometimes! 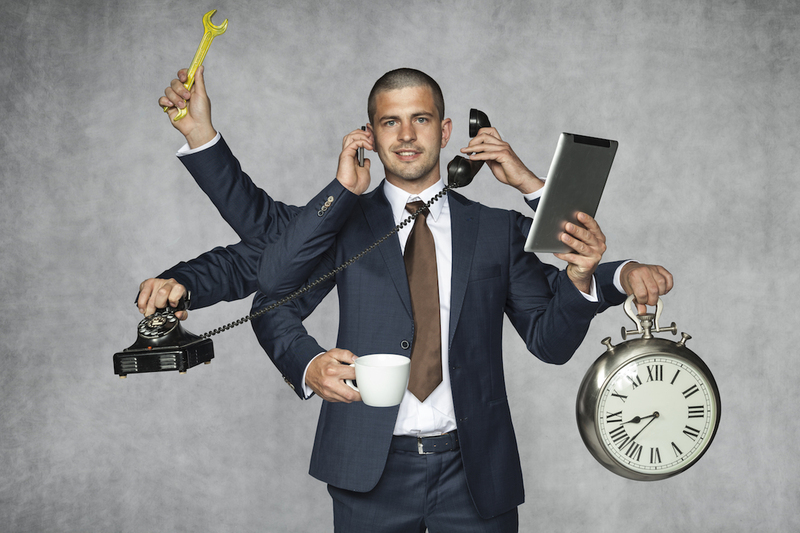 If you still find yourself in a pickle and can’t delegate your time effectively, check out these Top 5 Games That Can Make Time Management Fun. Finding a game to occupy your time may seem unnecessary, but it will actually allow you to hone in on your time management skills and have a bit of fun at the same time. 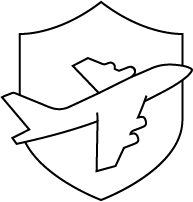 Try something like Airport Mania 2, where you can run your own airport, or Jojo’s Fashion Show, where you can design clothes and organize a fashion show, or the ever-popular Diner Dash, where you can run a diner, seat customers, and deliver orders within a set time. After all, the holiday season is about having fun and feeling like a kid again, so why not play some games that utilize time management in the same way that you should in your daily life? There’s no doubt about it, the holidays can be a stressful time. It’s difficult to enjoy a season that can be so joyous when we take on more than we can handle because we feel the pressure to challenge ourselves every single day. When it comes to the holidays, don’t let the stress and the blues get you down. Instead, figure out what you can incorporate into your routine like fun runs, yoga, meditation and time management to give you a clearer perspective on things and some time for yourself. Catch up on all of the sleep that you can and remember that by utilizing some of these stress relievers, you’ll be able to fully enjoy the atmosphere and experiences that the holidays bring! 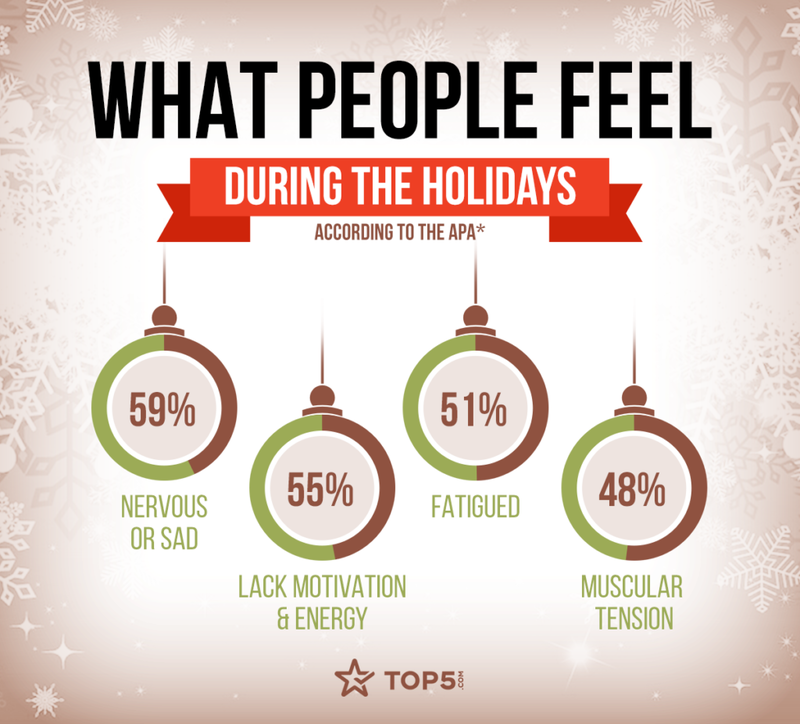 Wanna gauge your holiday stress levels? Take our quiz below!